Work Sharp vs. Ken Onion: Which one is the better choice for you? Your utility knife has become kind of dull lately and you want to get its sharpness back in place. Naturally, the most common answer would be to sharpen the knife with a sharpener tool. Still, you probably have no idea how to pick a suitable one. Well lucky for you, the salvation is right here in this article. A comparison about Work Sharp vs. Ken Onion may just help you get the right stuff to use in your situations. It also saves you lots of times and effort too. So what exactly are these tools then? Technically, Work Sharp and Ken Onion are power tools that allow you to quickly and effortlessly sharpen the knife. They both have their strengths and weakness in different conditions. You can find out everything along with other specifications and features right below. Inspect them and compare that to what you need in order to have a wise purchase. As long as you do this right, you will definitely satisfy with the product result. 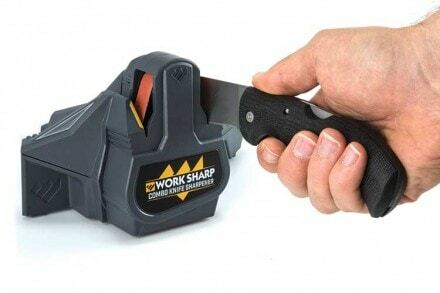 Work Sharp and Ken Onion are handheld sharpening tools. Their working principle is more or less the same. Equipped with the abrasive belt, the tool will sharpen the knife by grinding it with the belt. 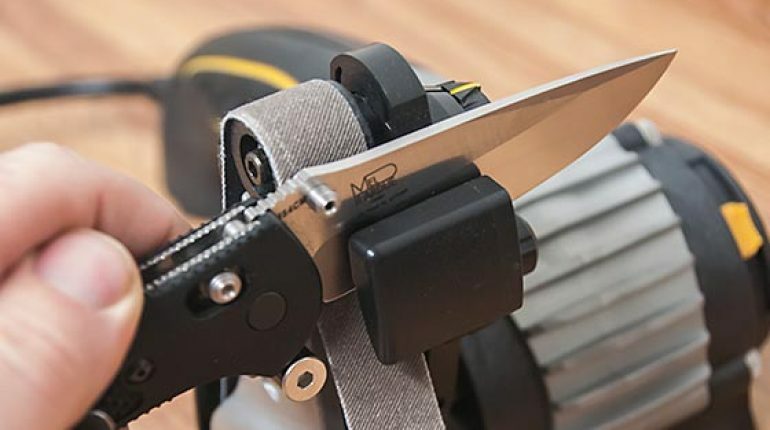 First, secure your knife in an appropriate angle guide and plug in the tool. Next, turn on the belt and you can begin sharpening the knife back to it used to be. It’s important to lay the tool on a stable place so you won’t slip your hand and ruin the knife. With a 120 grit cloth back belt at 10 inches long and 0.5 inches wide, Work Sharp work fast and efficient. It also comes with 2 additional belts beside the one that is already on. The process of replacing old and worn out belt is relatively simple and no need for any tools. However, the belt size is unique and may not suitable between all variants. And the working speed is fixed at 1,000 SFM so you don’t have any control over it. The abrasive belt of Ken Onion is slightly larger at 12 inches long and 0.75 inches wide with a 6,000 grit density. You can sharpen your knife with ease by this tool due to the ergonomic handle and open design. Beside the main belt, you will be provided with four extra belts of four different styles to deal with many knife designs. 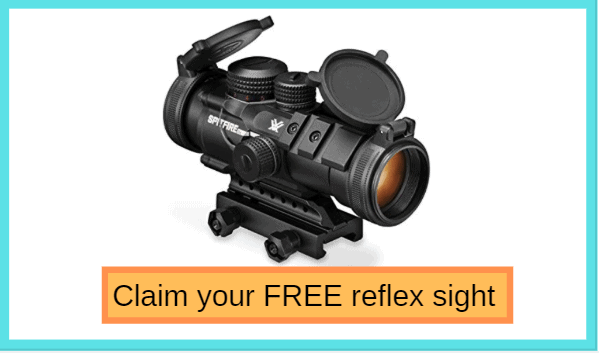 The working speed is fully adjustable between 1,200 and 2,800 SFM at your leisure. Hence, you can sharpen many kinds of knives with this machine alone. Work Sharp guides are fixed at a 25-degree angle. This will increase the sharpen accuracy and the edge durability. 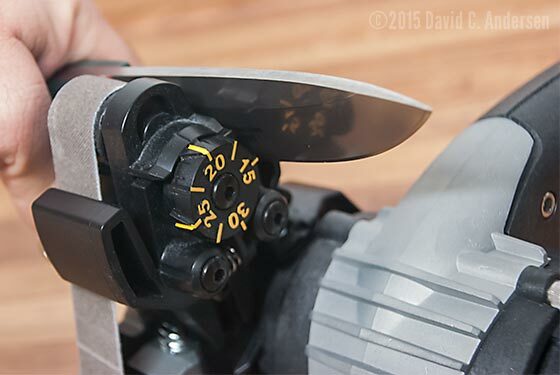 The guides are built in features so they are tough and won’t vibrate in the middle of the sharpening. A stable ground is still needed nerveless to guarantee the result perfection. In the Ken Onion case, just like the belt speed, the guide’s angles can be modified between 15 and 30 degrees. As a result, you can get into the best position to sharpen your knife. The downside is the guides are not stable and may wiggle from times to times. If you don’t trust the guides, you can try holding the knife vertically and control the grinding angle by your hand. The angle created by this method would be around 15 to 20 degrees. 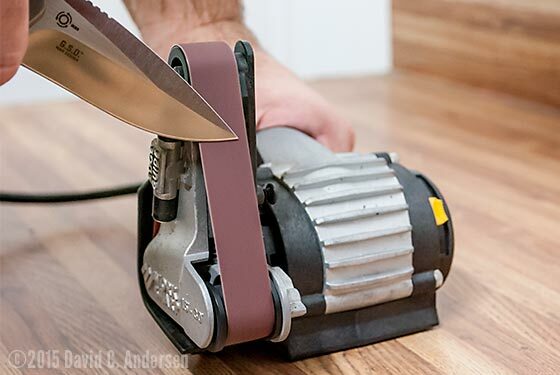 You can find pretty much most of what you need for knife sharpening in the Work Sharp. It’s is basic, robust and very compact. There won’t be any need for preparation, just plug the machine into a 120V outlet and you can use it. The duty cycle of the Work Sharp is a continuous one so feel free to use it to your heart content. Read the instructions and a short sharpening guide include within then you can start using the machine without problems. The tool compact size and lightweight should allow you to move it around comfortably. The size of the machine is also small so it will be perfect for household use. You will receive nothing but satisfaction while using the Ken Onion. The only optional you stuff you can get with Work Sharp is the carry bag. That will come in handy when you need to pack up the tool and head out. About the warranty, 1 year is the usual period. There are a lot of items you could obtain with the Ken Onion. From the gear bag to a whole range of specialized attachments, you can get anything you like. The warranty of Ken Onion product is also 1 year. And that should be almost everything you should know about Work Sharp vs. Ken Onion. Pretty simple and straightforward, right? To decide which one id the better choice, just compare what they can do to what you want. You don’t have to always go with the one that gives you many features that you may not use efficiently. A wise purchase will help you the tool that is suitable at an acceptable price.